Grier has stepped up to help move North Carolina forward, and he invites you to do the same. You can make a difference in this election! Please join us in supporting Grier’s efforts. As Citizens for Grier Martin, we offer the following ways to get involved. We need volunteers for a number of activities from posting a yard sign, to stuffing envelopes and canvassing. 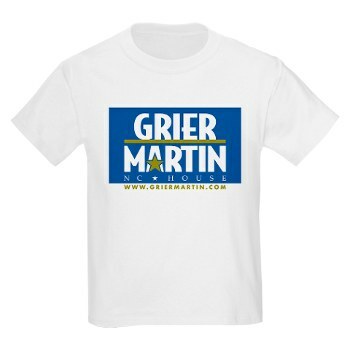 Want to show everyone that you support Grier Martin? Click here to order bumper stickers, shirts, hats and other gear.